The closure of now-defunct law firm Howrey LLP has been thrown a curveball after the roof of a warehouse in Washington, D.C. collapsed. The roof collapse, which occurred on June 28, has hindered the efforts of attorney Allan Diamond and his team in overseeing the bankruptcy liquidation of the law firm. The warehouse, Recall, is a document storage warehouse. Diamond and his team were trying to get confidential files back to the ex-clients of the firm. The Recall warehouse is located in Landover, Maryland. 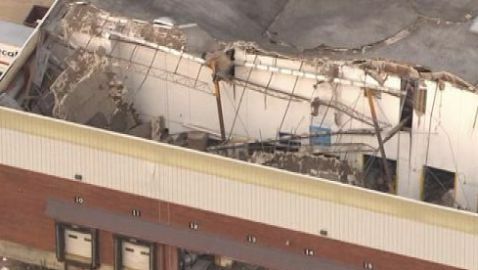 According to workers at the warehouse, the roof collapsed when a forklift hit a storage rack, which caused a chain reaction of destructive events. One employee was killed during the accident but the body was not recovered until multiple days later because rescuers were worried about the structure of the building. Diamond said that Recall’s roof collapsed ‘substantially’ from the accident and that the accident is “compromising a significant number of stored documents and exposing them to the elements.” In regards to the law firm’s documents, close to 60,000 boxes were affected by the accident. “Recall is still determining the scope of damage and when, if ever, the documents will be recovered,” Diamond said. Diamond wants to return or destroy all of the documents by March. The firm had stored 220,000 boxes of documents in 12 locations outside of the law firm across the globe.